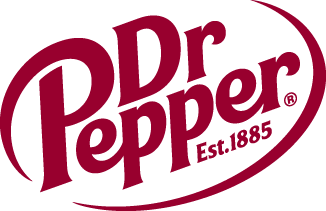 Dr Pepper Dallas Cup Champions Crowned | Dallas Cup, Inc.
DALLAS, Texas (Sunday, April 16) – Dr Pepper Dallas Cup XXXVIII, the oldest and most prestigious international youth soccer tournament, concluded today as FC Dallas defeated CF Monterrey, 2-1. The contest was the final game of Dr Pepper Dallas Cup’s “Championship Weekend”, in which eight teams, representing four countries, were awarded Dallas Cup’s iconic “Boot and Ball” championship trophy. In an exciting matchup between top academies in the United States and Mexico, 2016 U.S.S.D.A national champion, FC Dallas, and current leader in Liga MX U20, CF Monterrey Rayados, vied for the Gordon Jago Super Group title. The two sides came out with some extra bounce, in front of a record breaking Championship Sunday attendance of 8,747, as they fired around the pitch looking for the crucial opening goal. The first goal of the match came in the 23rd minute. Jesus Ferreira dribbled around the edge of the box and found an open Paxton Pomykal near the penalty arc. Pomykal sized up the Monterrey defense and launched a low driven shot to the far post that was just out of reach of the sprawling keeper. Pomykal’s goal made the match 1-0 in favor of FC Dallas. The rest of the first half saw few real scoring chances for either team. Physical play, including five total yellow cards, halted much of the run of play. The half ended with the lone Pomykal goal being the difference maker as FC Dallas went into the half with a 1-0 lead. From the start of the second half, as the whistles started to blow less, the action got more fluid as the ball was moving from box to box. FC Dallas substitute Arturo Rodriguez and Jesus Ferreira continued to threaten the back line of the CF Monterrey defense, but it never resulted in the second goal of the match. In the 82nd minute, magic struck for Rayados. A Monterrey free-kick whizzed off the post which created havoc in the box. In an FC Dallas attempt to clear the ball, the ball deflected off Monterrey’s captain Erick Amaro and into the net to make the game 1-1. The magic in the match was not over though. In the 89th minute, previously mentioned FC Dallas sub Arturo Rodriguez made a twisting run through the heart of the Monterrey defense and set himself for a right-footed shot from over 30 yards out. He struck it pure and it tucked inside the right side of the net to make the game 2-1. Madness ensued as it certainly looked and felt like the winning goal inside the packed Toyota Stadium. Stoppage time dragged on for the hometown fans, but the final whistle blew and FC Dallas was named Gordon Jago Super Group champions. FC Dallas is the first MLS side to win the Super Group title and the first U.S. team since the Dallas Texans won in 2006. The first match of the day was a United States-Mexico battle between Santa Clara Sporting 00B and Queretaro FC to settle the U17 championship. In the early going, Queretaro appeared the better side as they looked quicker and more composed at nearly every position on the pitch. They forced Santa Clara Sporting’s keeper Willem Kelson to make several tough saves to keep the match scoreless in the first half. The first goal in the match came in the 55th minute after Queretaro’s Patricio Zerecero was taken down in the box resulting in a penalty kick. Jose Hernandez stepped up to the penalty spot and calmly tucked away the match’s first goal for the Mexican side. In the 65th minute, Ramon Sanchez added a second goal. After some good team play, a low pass was cut across the box to Sanchez who put away the goal on the first touch. Queretaro FC, who won the U14 championship on Saturday, added the U17 title to their Dallas Cup resume after securing the 2-0 win. The second match of the day was an east coast clash as New Jersey’s Cedar Stars Academy Newark Green and Maryland’s Baltimore Celtic SC vied for the U18 title. Cedar Stars Academy struck first in the 24th minute. Celio Martin put a perfect cross into the box that found Azriel Johnson who headed the ball strongly past the keeper for the opening goal of the match. In the 43rd minute, Celio Martin got involved in the action once again as he carved his way through the Celtic defense, set up the ball on his right foot, and stroked the ball into the bottom corner of the net. In the second half, it was still all Cedar Stars Academy. Allen Gavilanes got on the board with a brilliant left footed finish that rang off the inside of the post and into the goal. In the 76th minute, Celio Martin scored his second goal of the match after some patience and skillful dribbling in the box led to a lovely finish. Baltimore Celtic’s Justin Gielen scored a late consolation goal in the 90th minute, but the day belonged to Cedar Stars Academy. Ronald Mafunzwaini tacked on an extra goal in stoppage time as the New Jersey side went on to win the U18 “Boot and Ball” trophy in convincing fashion. The U19 Championship was an all-English affair as Knowsley Youth and Liverpool FC Foundation kicked off at 3:00pm. Action was back and forth early on in the first half as both sides were creating attacking chances in the opponent’s half. The first breakthrough in the match came in the 38th minute. After a defensive error in the final third by Knowsley Youth, Liverpool FC Foundation had a 2-on-1 opportunity against the keeper. Thomas Steging played the ball through to Jack Hazlehurst who smacked in the first goal of the game. Just 5 minutes later, Liverpool FC Foundation tacked on a second goal. Tejan Brima, the club’s pacey forward, bolted down the wing, created some space, and played a perfectly timed pass to Jack Hazlehurst who slotted away his second goal to put his team up 2-0. With time slipping away from Knowsley Youth, they pulled a goal back in the 87th minute when their captain Jordan Wynne hit a masterful free-kick that curled into the upper corner of the net. Knowsley Youth kept fighting for the equalizer, but it was not there in the end. The final whistle blew with a score of 2-1 as Liverpool FC Foundation hoisted the iconic championship trophy.